“Made in China” is a thing of the past. The next big shift moves from “Made for China” to “Designed in China”. For many, China is still synonymous with the copying or stealing of ideas and the production of low cost alternatives. However, those living in the country or following it closely know this to be an outdated view. “Made in China” used to mean cheap labor, cheap production and bad quality. Chinese clones of Western innovation used to be infamous the world over. Those days are starting to seem like a distant past. With the creation of a large middle class with disposable incomes and desires, we have long moved on to “Made for China”. For a majority of MNCs, China is one of the biggest markets and of great importance. Local tastes and preferences are being taken into consideration increasingly, with the goal of getting a bigger share of the wallet. From F&B, to fashion, to electronics, to automobiles, “Made for China” is a reality today, as consumption in the country is still steadily on the rise. Following the shift from being the world’s workbench to one of the world’s most important economies today, the next change is just on the horizon. 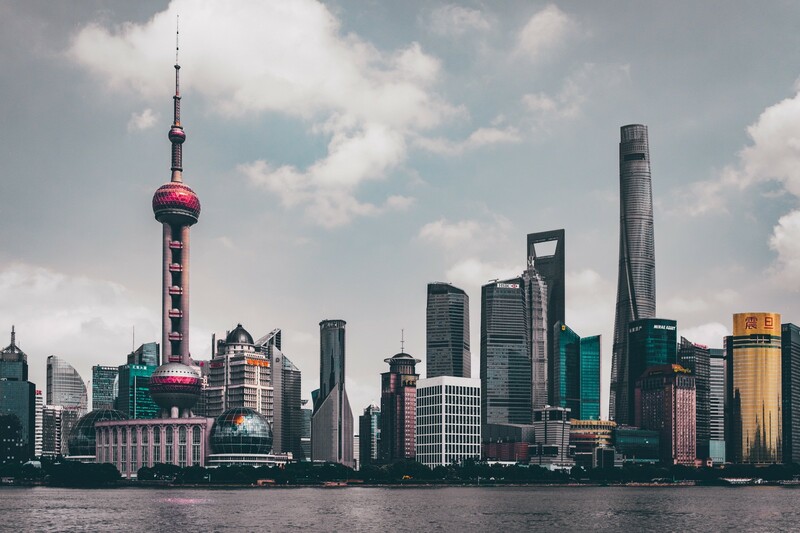 As China and its companies continue to look for growth, their gaze is increasingly landing on the global markets, where some of China’s most valuable companies (like Alibaba and Tencent) have yet to prove themselves to be able to compete with incumbents. The next big shift we are about to see will be dubbed “Designed in China”. To understand how Chinese companies made the shift from copying to innovating, one needs to look no further than WeChat. Having started its existence as a cross-over of QQ, WhatsApp and similar existing products, many deemed it a copycat. Yet fast release cycles and a strong willingness to solicit, listen to, and react to market response have turned it into Tencent’s likely most valuable property. It has been adopted so widely and is used so frequently by its community that Western companies are watching in awe and are looking to learn from and copy it. Success stories like WeChat are possible in China because of the general willingness, across generations, social groups and geographies, to adopt new technologies quickly. With China’s incredible rise over the past decades, life has looked completely different for hundreds of millions of people, year after year. Change has been ever-present: in lifestyle, affluence, infrastructure, opportunity, amongst other related fields. 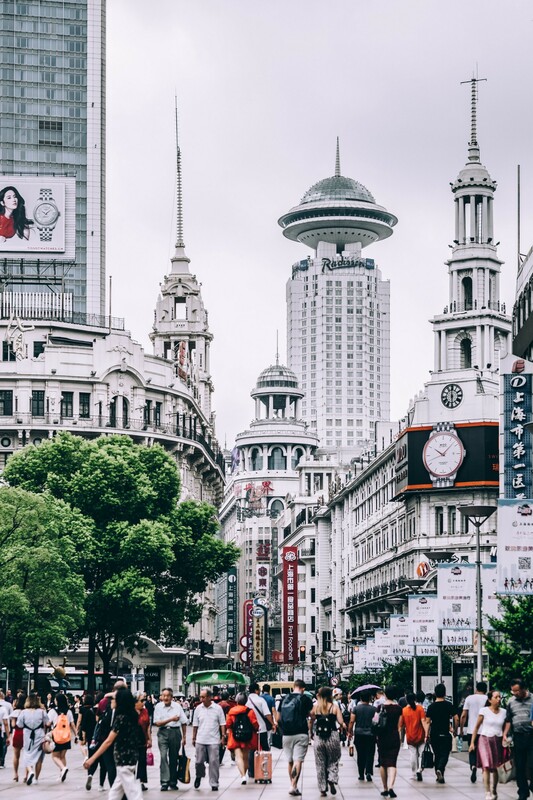 Continuous change and adaptation to new circumstances is the norm to the Chinese, a factor which has been crucial to driving rapid adoption of new technologies. As a rule of thumb in China: If there is benefit, if there is a chance for gain, if there is something interesting to it, people give it a try without hesitation, no matter how small it might be. They will also immediately abandon the product in the case that it does not satisfy. Within such a fast-response live-or-die framework, Chinese products can evolve quicker and adapt to the market better. Hence innovation, both incremental and disruptive, has the right breeding grounds to accelerate at unprecedented levels. Within the frames of such an economic environment, and after copying and catching up to global standards, it is easy to see why China’s companies are at the pole position for creating the next big wave of innovation. And they are already doing it, yet much of their progress has remained invisible to outsiders until now. Where most would have considered their home countries to be more advanced than China ten years ago, this is no longer the case. From ubiquitous mobile payments through WeChat, very affordable high-quality mobile devices from XiaoMi, to well-designed e-scooters from Niu, China is living in the future. And this is not even touching on the millions of merchants and shoppers in China, whose everyday lives are being continuously shaped and changed by Alibaba. The enormous ways in which social technology giants are connecting people through text, voice, video, live stream, and the impeding e-mobility revolution being pushed forward by a plethora of new local entrants and government policy, will most likely make China the global frontrunner in the space. The products that Chinese innovators are creating are no longer like the ones people used to scoff at a decade ago. No more banner-laden unusable web applications. No more clunky, ugly electronics. No one-on-one knock-offs. The new products being created in China today are rife with ingenious features, pleasant user experiences and strong value propositions. Design is becoming an important consideration in Chinese fashion, hardware and software; all catered to global modern tastes. There are still many hurdles for Chinese companies in global markets. The lingering negative perception of Chinese companies as copycats is surely still one of those, yet there are other factors that pose greater challenges. Among them is their general understanding of other markets, or the lack thereof. Many of the first moves in entering new markets have made it quite apparent that their traditional approaches are not working extremely well. Their playbooks that were created, tried and executed many times over are good for conquering a large unified market with 1.3 billion people, but seem to fail when applied to more fragmented geographies outside of China. 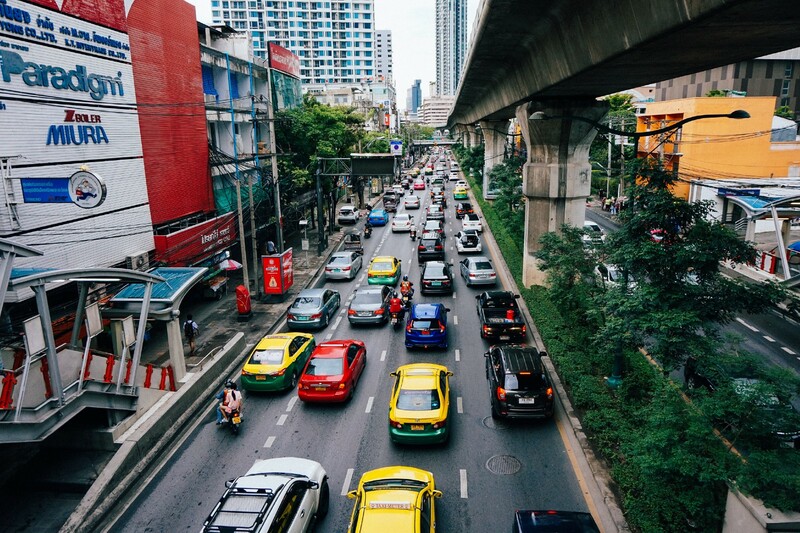 Companies looking to enter Southeast Asia, which is geographically and culturally the lowest-hanging fruit, are looking at a market size of about 640 million people in 11 countries. Every country has its own rules, systems, agendas, language and local players. Every country is fundamentally different, yet rather small as a single market when compared to China. Similar situations exist in Europe, the Middle-East, Africa and South America. When being used to dominating a large unified market, these fragmented small markets, as high-value as they may be, are difficult to conquer. On the surface, the strongest progress has been made by Alibaba, using a mixed strategy of acquisitions, building new local properties and pushing its underlying platforms. In Southeast Asia alone it has acquired popular portals such as e-commerce company Lazada (and indirectly Singaporean online supermarket RedMart), while building an international version of Taobao. It is further pushing Alipay, its payments business, and Cainiao, its logistics platform, into Southeast Asian markets so that everything can run on the existing infrastructure they have created in China. On the other hand, WeChat continues to struggle with global adoption. While being used mostly by the Chinese diaspora in overseas markets, attempts have been made to promote the product using star power (for example, Messi and Neymar, who are world famous soccer players). Those have largely failed so far. International expansion efforts are now focused on offering the app as a convenient tool for Chinese tourists, rather than on acquiring foreign users. Another cautionary tale involves the US launch of consumer electronics company LeEco, which ended rather disastrously. In trying to use the same playbook they used in China, LeEco tried to launch its smartphones via flash sales, which are widely accepted in China, but are not popular in Western markets. The new entrant bore the brunt of consumer skepticism, the flash sale did not pan out, and LeEco failed to capture any significant market share with the same tried-and-true methods it learned in China. Using the failures of the past as important lessons, Chinese companies are getting smarter about their international strategies. This is a fact underlined by examples like Indiegogo, whose main business in China is Chinese companies carrying out crowdfunding activities in Western markets to gauge demand and gather quick feedback on their ideas and offerings. Just as Western companies had to fail and iterate to finally see success in the Chinese market, Chinese companies are now going through the same struggle. Products cannot be simply exported, they need to be designed for their respective target markets. In closing, it is fair to say that we are just at the cusp of what will be the next big wave of growth for China and its companies. After having been a manufacturing hub, followed by its evolution into a consumer society, Chinese companies are now out-innovating their Western counterparts and are pushing into other markets quickly. Large opportunities are available to those who can be a good partner and seize the reins at the seat of this seismic shift. Sebastian Mueller is Chief Operating Officer at MING Labs. MING Labs is a leading digital business builder located in Berlin, Munich, New York City, Shanghai and Singapore. We guide clients in designing their businesses for the future, ensuring they are leaders in the field of innovation. Liked this story, and curious to know more? Start a conversation with us on twitter, or drop us a note at hello@minglabs.com. We are a leading digital business builder located in Munich, Berlin, Shanghai, Singapore, and New York City.